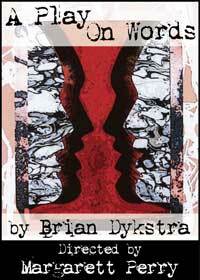 The Kitchen Theatre Company announces TWO Dykstra plays in their 2008-2009 Season! 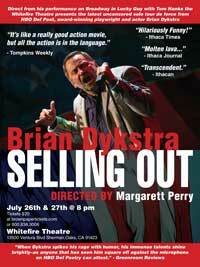 named one of the Top Ten L.A. Theatre Productions in 2013 by the Huffington Post.. When a stranger comes to call, sparks fly and walls (including the fourth one) come tumbling down in this sophisticated and surprising love story. Rusty and Max have been friends for most of their lives, and they've been arguing almost the entire time. Today they're scheming up something big. A comedic, relentlessly fanatical pursuit of what is said, what is intended, and what is right. 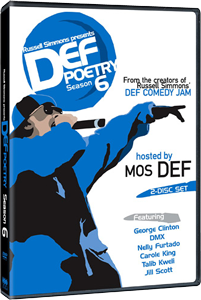 HBO Def Poetry Season 6 is available on DVD featuring Dykstra’s performance of “Pushing Bush.” This acclaimed series showcases practitioners of one of the country's fastest-rising performing-art forms, Def Poetry, in an intimate, uncensored format. Taped before a live audience at The Supper Club in NYC, Russell Simmons Presents Def Poetry is hosted by popular rap artist/actor Mos Def, and spotlights original material performed by contemporary poets and well-known music/comedy artists. 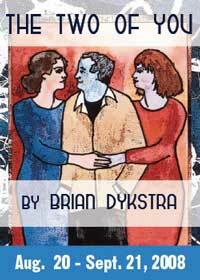 "Exuberant, daringly fresh series that breaks poetry out of the neat little boxes it's so often put in"
See Brian's webshow, Counter Intelligence, on the RudeCast channel. See Brian's performance of “Pushing Bush” on HBOs DEF POETRY on the Rants page. Visit HBO's Def Poetry. 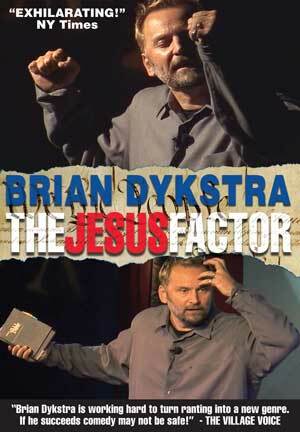 Brian can be seen on Comedy Central's The Chappelle Show on Best of Season 1 & 2 DVD's. Pictured at left are Patrick Frederic, Dave Chappelle & Brian at the Comedy Central premiere party.